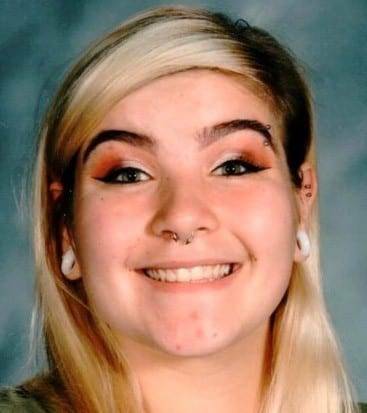 Megan Sue Rose Johnson, age 16, of Camden, Michigan, died on Tuesday March 5, 2019 at Parkview Regional Medical Center, Fort Wayne, Indiana, from injuries she received in a car accident that happened the prior evening near Fremont, Indiana. Megan was born in Las Vegas, Nevada on September 6, 2002. She grew up in Las Vegas, and later moved to Camden to live with her Aunt and Uncle Kathy and Justin Rodgers, after the passing of her mother. Megan was enjoying her junior year at Camden Frontier High School. She had a natural musical talent, and enjoyed playing the flute, guitar, keyboard, and ukulele. She had recently received her driver’s license and was working at Wendy’s in Fremont. Survivors include her brothers, Kelly Ivan Johnson of Pioneer, Ohio, and Rodney Kaden Isaiah Weir of Camden, Michigan, her grandmother, Brenda Lowe of Taylor, Michigan, grandfather George Weir of Montgomery, Michigan, her aunt and uncle, Kathy and Justin Rodgers of Camden, Michigan, her aunt, Gail Weir of Montgomery, Michigan, and cousins, Nathan Rodgers, Allison Rodgers, Trenton Rodgers, and Taytem Rodgers, all of Camden, Michigan. Megan was preceded in death by her mother Mary Louise (Weir) Johnson on June 25, 2017. Memorial Services will be held at 4 pm Wednesday, March 20, 2019 at Beams Funeral Home, Fremont, Indiana, with Rev. Jon Bruney officiating. There will be calling hours prior to the services from 2-4 pm Wednesday, March 20, 2019 at Beams Funeral Home. Immediately following the services everyone is invited to the Camden Outreach Center, Camden, Michigan for a meal and fellowship. Burial will be held at Camden Cemetery at a later time. Memorial donations in her memory are requested in care of the family. Be the first to comment on "Megan Johnson (2002-2019)"